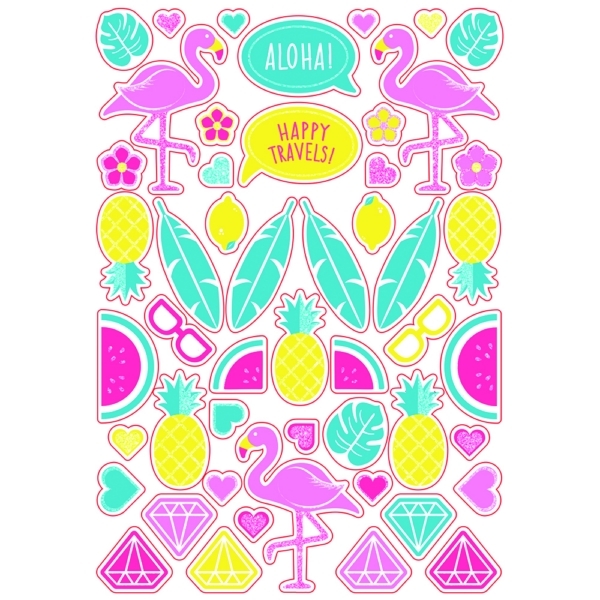 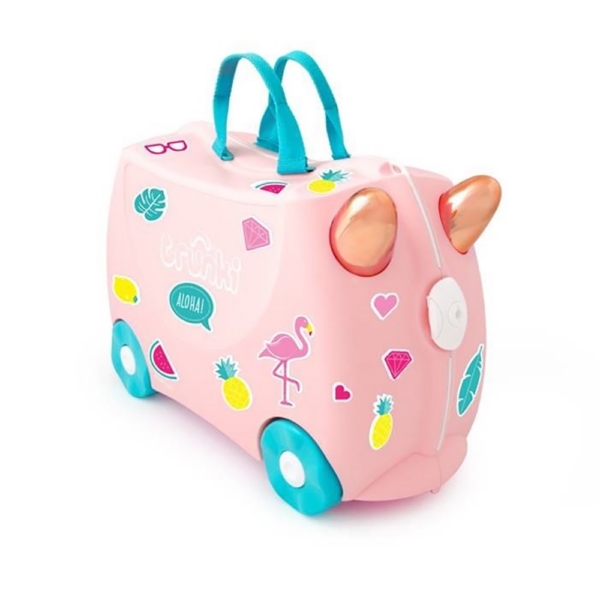 The Trunki Kids Ride On Suitcase Flossie Flamingo is designed for travelling tots – so grab your inflatable & head for the fun & sunshine, stick on your sparkly tropical stickers and get ready to fly! 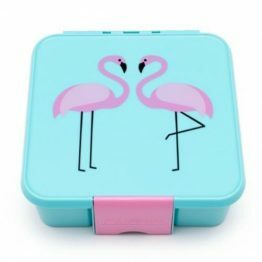 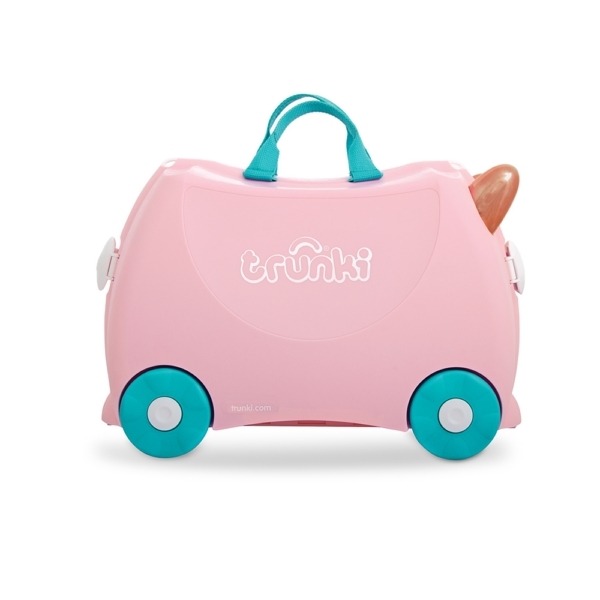 Pale pink in colour with turquoise wheels this new Flamingo Trunki will be certain to give little ones a flamingood time, wherever they ride! 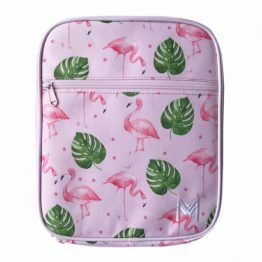 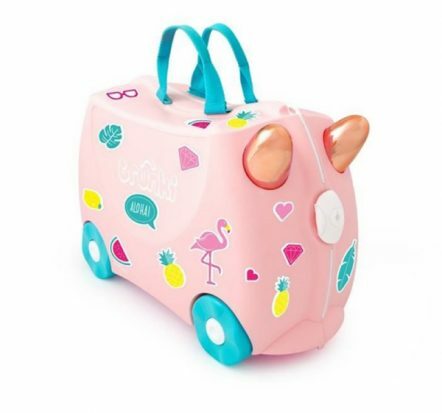 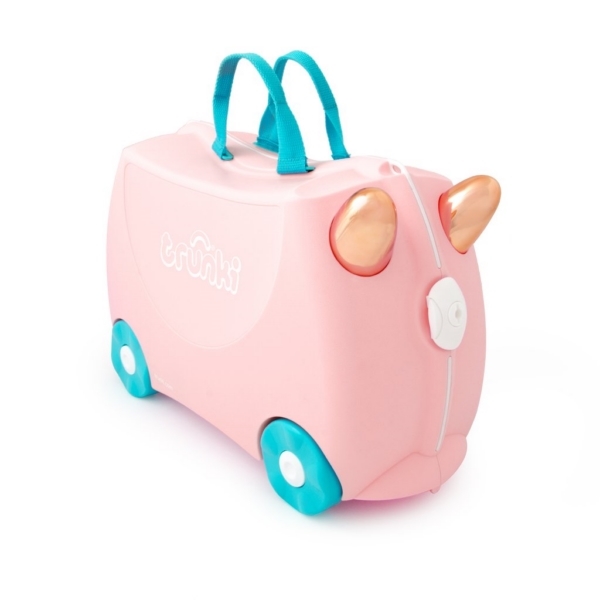 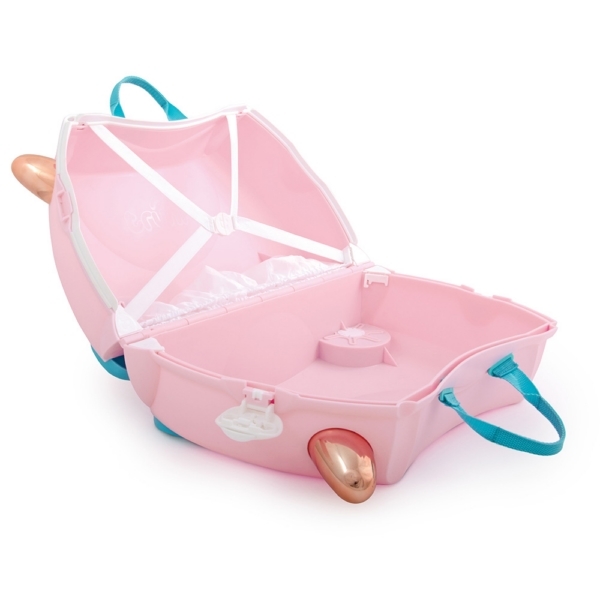 Flossi the Flamingo Trunki comes with her very own on-trend rose gold horns & sparkly stickers, perfect to glam up any adventure, and rock some pink hues, whilst heading for tropical climes! 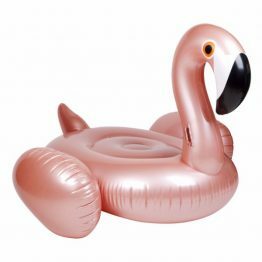 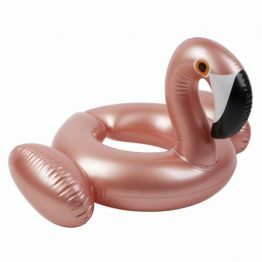 Little flamingos can ride, carry, or be towed along to save tired feet.